It’s summer, and along with family vacations, the Fourth of July, and trips to the beach also comes heat. The kind of warmth that makes you stick to the chairs. Not a big deal if your vents are kicking out chilly air whenever you want. But, if you lack central air conditioning, it’s a safe bet you have at least occasionally wondered if the expense is worth it, or if maybe a window unit or two would be a wise investment. Make no mistake, installing central air conditioning can be expensive; especially if your home is not ideally suited for running vents to carry the air. But for comfort and efficiency, this is the way to go. Plus, it’s a capital improvement for your home and will be appreciated, if not expected, by the next owner if you ever decide to sell. 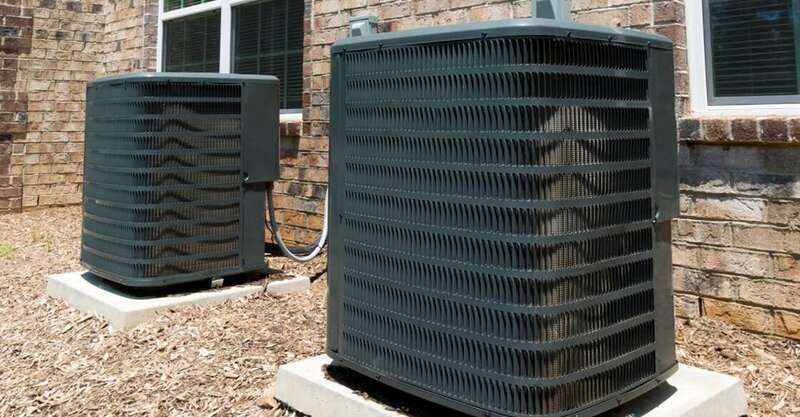 One central air conditioning unit will be able to move air throughout your home evenly. A professional installer understands how to size your house and balance the airflow through your ducts to make sure cold air is getting where it needs to go. This means the system will kick on less often and run for shorter periods of time while providing superior results to a window unit. Beyond just cooling your home, a central unit has a beneficial impact on air quality and humidity. Most newer units are equipped with serious filters. Even when you are not cooling, the fan option allows you to circulate air and remove any pollutants or contaminants. Of course, this benefit only exists if you remember to change your filters and service your system regularly. A/C units also do a great job of removing humidity, something that will make the air in your home feel cooler and also help with maintenance. Just throwing an off the shelf window unit in the hottest room in your home might seem like a cheap solution at the time, but it might not be the best option in the long run. The units are not very efficient. They blast cold air from one point and create uneven temperatures as the cold air travels farther from the window. Window units are also notorious for creating humidity by “sweating.” This condensation introduces more moisture to your environment which is the opposite of what you want. Perhaps the biggest problem with these devices is their propensity for allowing outside air into your house. They are very difficult to fit precisely in a window, and because of this, hot air is free to invade the very space you are trying to cool. Of course, there are situations when a large system just doesn’t make sense. Maybe you are only trying to cool a small guest house. Or, your home is older and installing ducts is not feasible due to the architecture. Even then there are better options than a window unit. Check out a ductless split system. These air conditioners can be installed in small spaces and are remarkably efficient. Ductless systems consist of a small outdoor unit and an indoor unit for each of the zones you are trying to cool. They are efficient, keep your home sealed against outside air, and most are built with an impressive filtration system to keep your air clean. Overall, central air conditioning is a far superior solution when it comes to cooling your home than a window unit. It is more efficient, improves your air quality, and reduces humidity. No one likes to be hot.